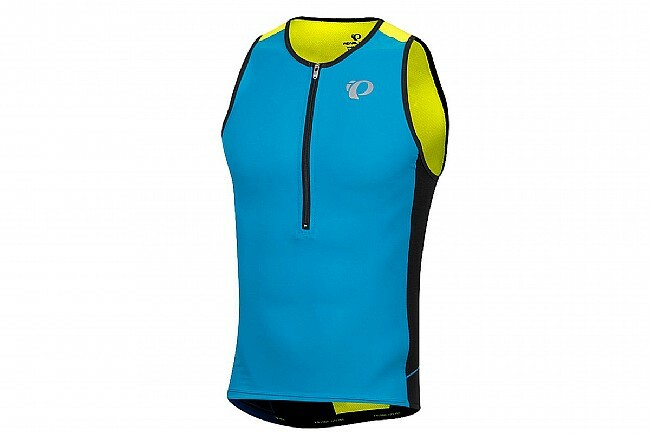 You'll be powering through the miles in comfort and at top speed with the Elite Pursuit Tri Singlet from Pearl Izumi on your back. Featuring a smoother, sleeker design than previous versions, the new Elite Pursuit gets you there faster and more comfortable than ever before. 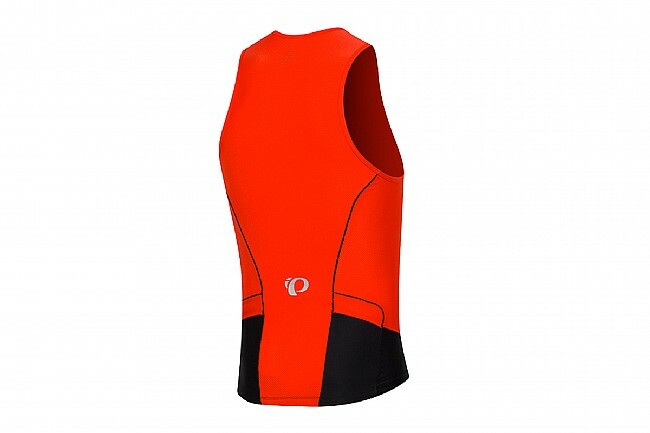 Constructed from Pearl's tried-and-true Elite Transfer In-R-Cool fabric, the Elite Pursuit Singlet delivers you through your swim, bike, and run in aerodynamic comfort thanks to its strategic placement of Aero panels at the shoulder and back for your aero tuck, with a quick-drying and breathable main body. 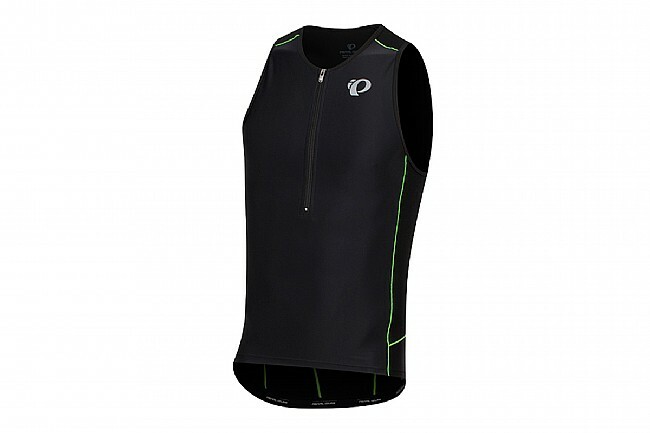 A 10-inch zip allows for moderate ventilation without additional fuss, while two angled rear pockets offer ample storage for all your race-day essentials. 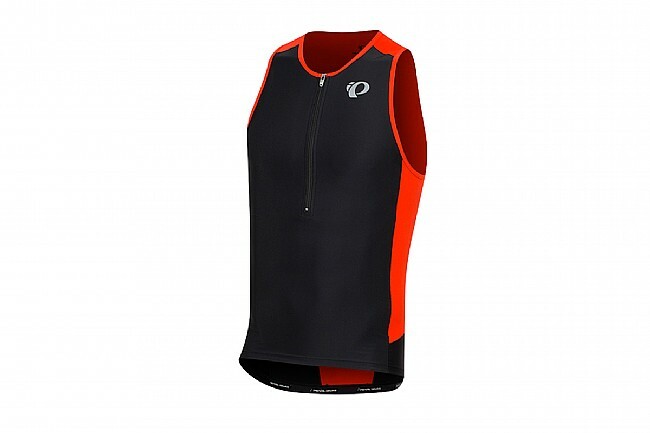 Sleeveless, triathlon-specific design intended for aerodynamic excellence. 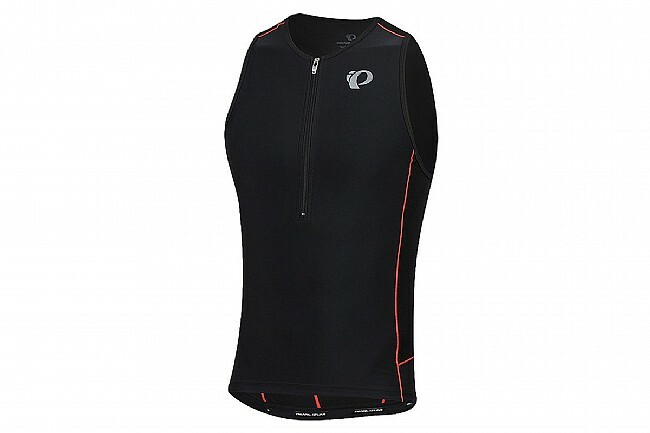 10-inch zipper length allows for moderate ventilation without added fuss. 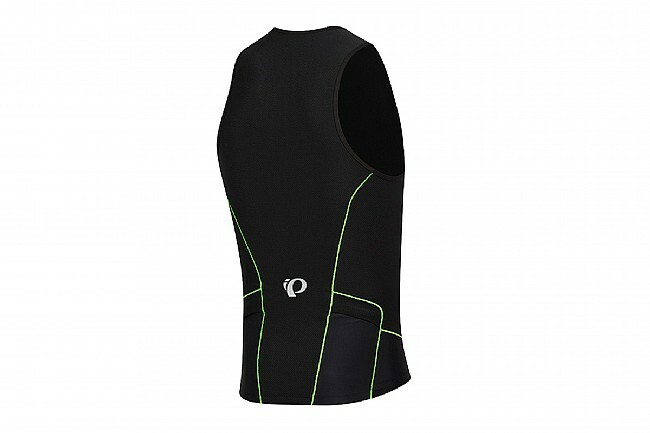 Elite In-R-Cool construction provides superior cooling, advanced aerodynamics, and optimal comfort. Coldblack treatment reflects solar energy for added cooling, even in the height of summer. Not designed for use in chlorinated or saline pools.